This statistic presents the frequency of internet users in the United States accessing photo sharing app Snapchat, sorted by age group. 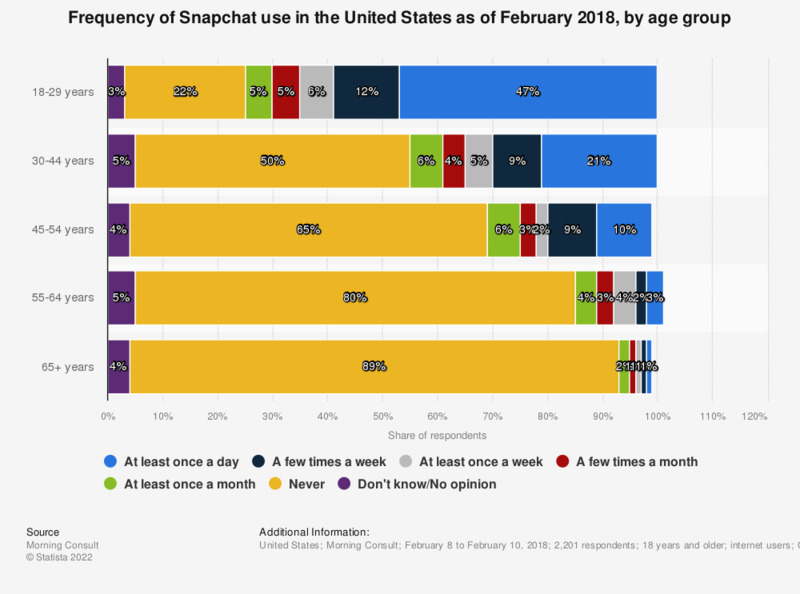 As of February 2018, it was found that 47 percent of U.S. online users aged 18 to 29 years accessed the photo sharing app at least once a day. Question: "How often do you use the following social media platforms? Snapchat"